There are some initial hilly and rocky sections leaving Singi until reaching a wide river valley of flat hiking. 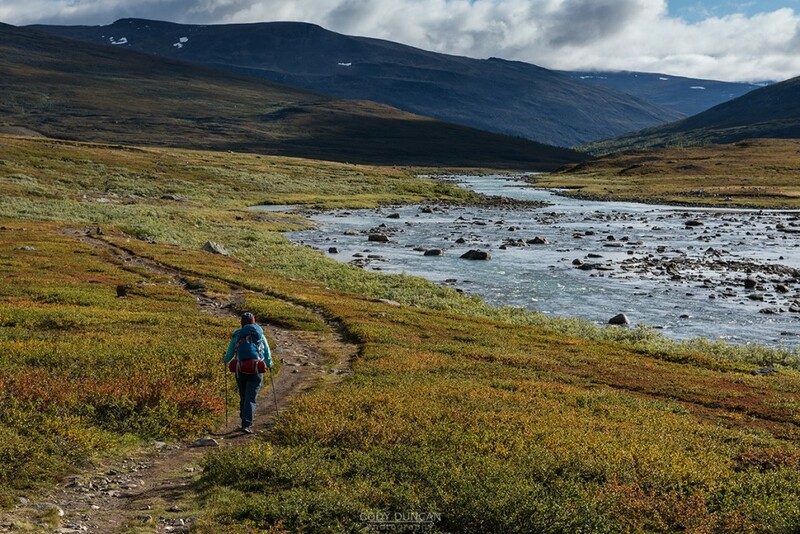 After a small ascent of a hill, the trail returns to the forest as you cross the river. After the river, the trail wanders up and down the hillside at times until reaching Kaitumjaure. 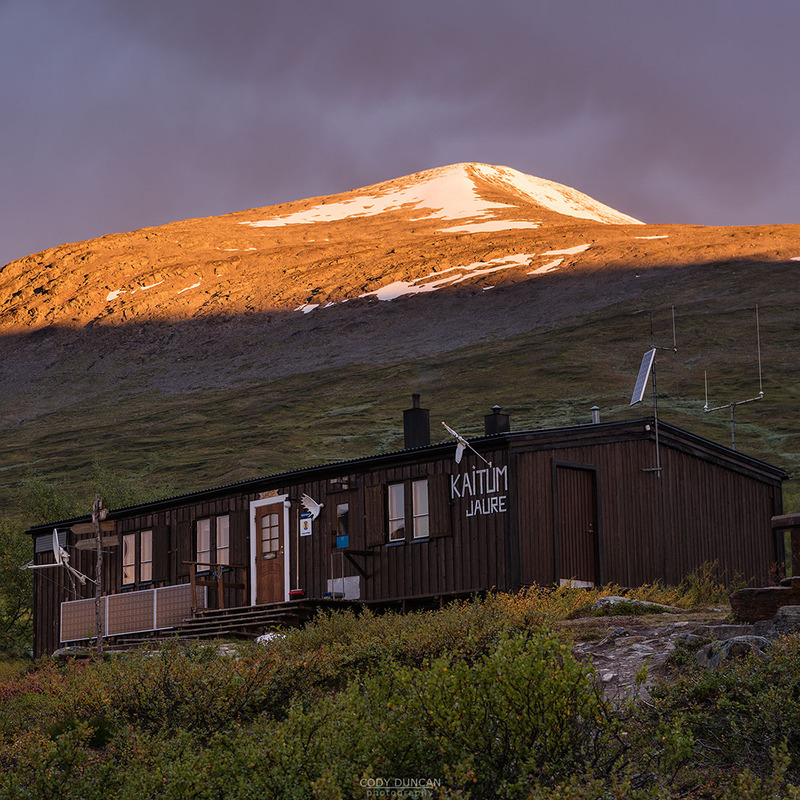 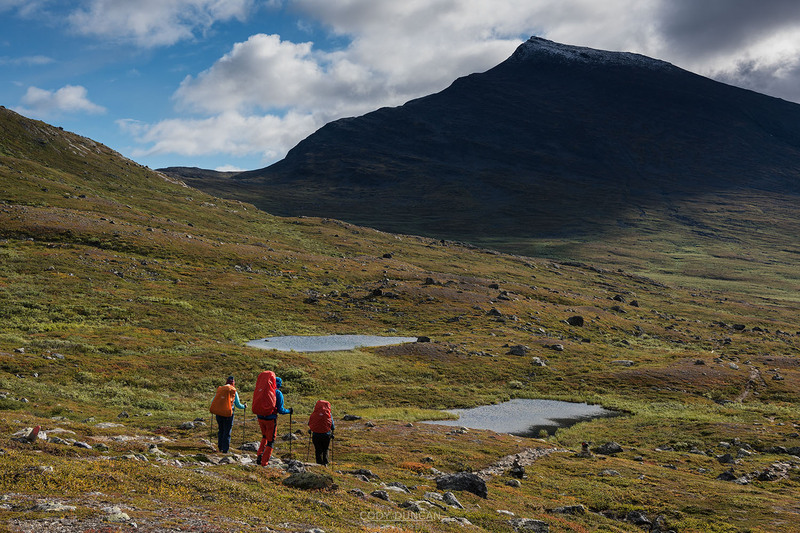 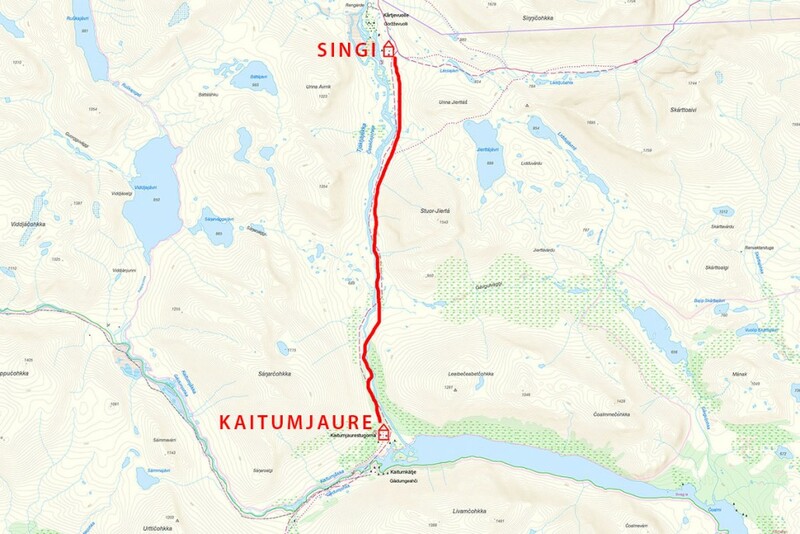 Located on a forested hillside with views over lake Kaitumjaure, and the resident moose that often wander in the shoreside marches, Kaitumjaure will feel a bit quieter after a week on the busier sections of the trail further north.